The Beardly: The goatee is a cousin of the beard. A redneck, inbred cousin. The goatee is a cousin of the beard. 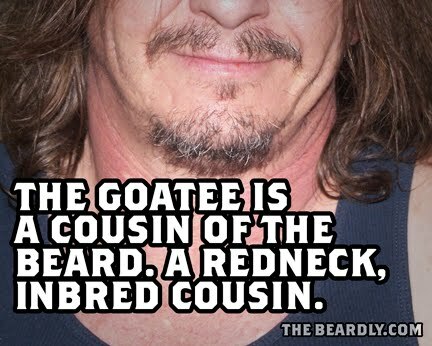 A redneck, inbred cousin.